California lawmakers on Thursday passed a bill raising the legal smoking age to from 18 to 21, part of a package of legislation that if approved by the governor would also more tightly regulate electronic cigarettes. The measure, which was approved by a 26-10 vote in the state Senate, would make California the second U.S. state after Hawaii to bar people under the age of 21 from purchasing tobacco products. It was approved in the state Assembly last week. “California led the way for the nation with a workplace ban, and the restrictions in bars and restaurants. We are leading the way again,” said former Assembly member Toni Atkins of San Diego after the vote. Governor Jerry Brown, a Democrat, has not said if he would sign any or all of the smoking legislation. A press officer for Brown was not available for comment on Thursday morning. 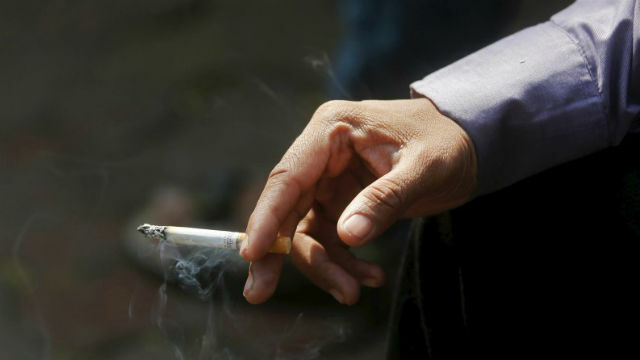 California lawmakers first took up the broad package of anti-smoking bills last year. They stalled in the legislature before being taken up again last week. A bill authored by state Senator Mark Leno would essentially regulate e-cigarettes similarly to other tobacco products. Hawaii Governor David Ige in June 2015 signed legislation making his state the first in the nation to raise the smoking age to 21.